From number one hitmakers to lesser-known music groups, there are numerous concerts to pencil in your schedule this fall. But you can’t catch all of them. Here’s a fall concert guide that will help you explore different venues in the city and see the best shows this semester. Born in England but famous worldwide, singer-songwriter sensation Ed Sheeran will stop at the Capital One Arena during his “÷” tour, which began in March and will conclude in August 2018. Sheeran will likely play songs from his most recent record, but also revived old favorites like “Give Me Love,” “Photograph” and “Thinking Out Loud” for his two D.C. performances. In addition to Sheeran’s well-known songs “The A Team” and “Shape of You,” he also produced a variety of music with and for other artists, including the tracks “Everything Has Changed” with Taylor Swift, “Moments” with One Direction and “Love Yourself” for Justin Bieber. Sheeran’s music soothes listeners with raw acoustic guitar, intricate riffs and lyrics torn right from his heart about heartbreak, intoxicated escapades and what it’s like being on tour. The Capital One Arena, previously called the Verizon Center until early August, boasts 20,000 seats for Sheeran fans. The Arena is home to sports teams like the Washington Mystics, Washington Capitals and Washington Wizards. In such a large arena, the crowd and atmosphere will make for an energized show. Capital One Arena, 601 F St. NW. 7:30 p.m. Tickets start at $76.50. Previously known for songs like “Buy U a Drank (Shawty Snappin’)” and “Low,” T-Pain’s new song “Stoicville” takes a more emotional style by discussing his childhood bullying and relationship with God. Although not all of his new music is acoustic, T-Pain has described his tour as being inspired by his NPR Tiny Desk concert, which he performed in October 2014. U Street Music Hall, a DJ-owned dance club and live music venue, is unique because it offers no VIP seating or experience, no party photographers and no dress code – all of which are designed to make clubbers pay more attention to the music instead of partying. The venue, which caps its capacity at 500 people, has been praised for optimal dancing and providing an intimate show. U Street Music Hall, 1115 U St. NW. 7 p.m. $30. 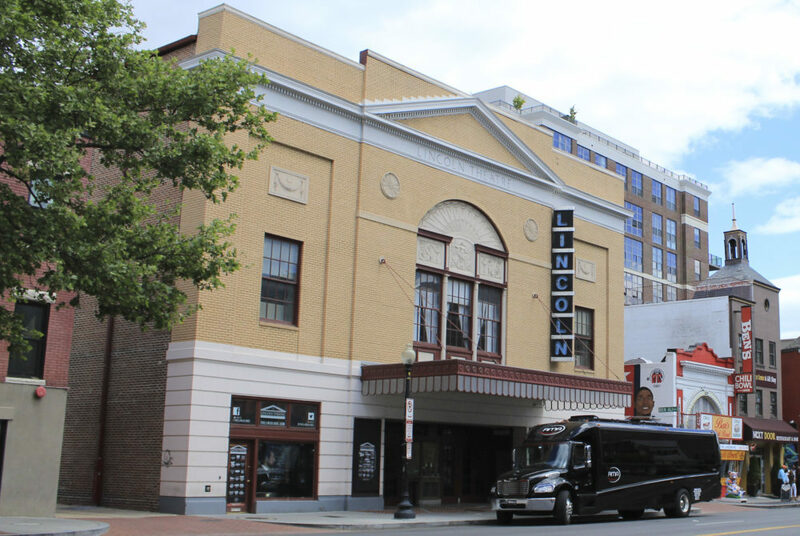 Lincoln Theatre, which opened in 1922, has played host to acts like Billie Holiday and Louis Armstrong and shows movies, theater performances and stand up comedians. The space historically served as a center for the African American community when theaters across the city were segregated. Lincoln Theatre, 1215 U St. NW. 6:30 p.m. $40. The National consists of five members, two of which met during their time at the University of Cincinnati. Since the release of their first album, which was self-titled, in 2001, The National raised their album count up to six, with an album titled “Sleep Well Beast” set to be released Sept. 8. “Sleep Well Beast” will likely be included in part of the band’s D.C. set. Four of The National’s songs have been used in television shows such as “One Tree Hill” and their song “Fake Empire” was used in former President Barack Obama’s 2008 campaign video and at the Democratic National Convention the same year. The Anthem will be the District’s newest concert venue when it opens Oct. 12. The venue at the Southwest Waterfront will open with a Foo Fighters show and The National’s early December show will be one of the first opportunities to set foot in the space. The venue is set to have a movable stage and a backdrop which will allow the capacity to vary from 2,500 to 6,000 people based on set design and desired concert size. The Anthem, 901 Wharf St. SW. 8 p.m. Tickets start at $46.